Orders placed for pick up in the tasting room must be picked up by you or your specified Trustee. Your Trustee for any given order is the Trustee specified at the time of purchase in the My Account section under Contact Information. 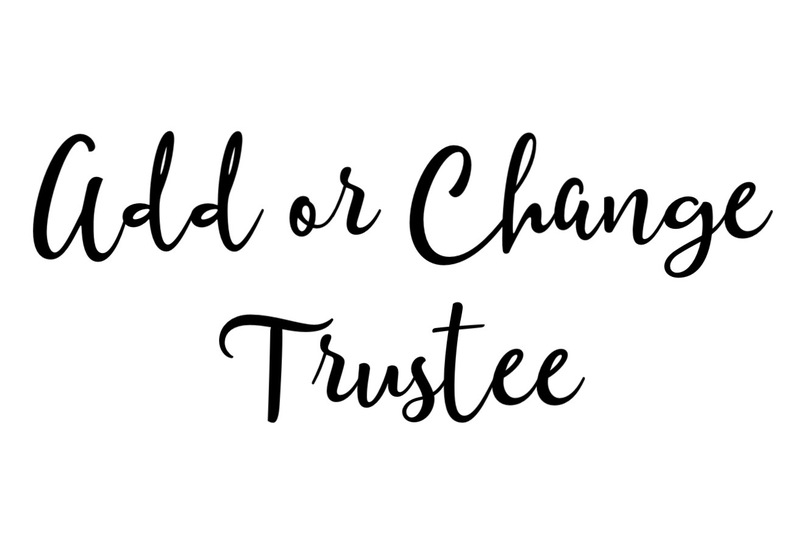 If you did not specify a Trustee at the time of order, or want to change your trustee for an order that has already been placed, purchase this item to update your Trustee for that order. You will need to specify your new Trustee's name and e-mail address as well as your order number. Please allow up to 2 business days for the change to take effect before sending your Trustee to pick up.